Where would you start if you had just a few hours to review the marketing effectiveness of a website and make recommendations of 'Quick Wins' to a colleague or a client? They'll want to hear your priorities for changes to inbound marketing to boost visits, leads and sales focusing on the short-term and also suggesting longer-term initiatives. Completing a website audit with the aim of improving results from your inbound marketing isn't easy if you're starting with a 'blank piece of paper' and don't have a structure to follow. 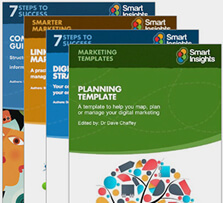 That's why this template was originally created 10+ years ago when Dr Dave Chaffey of Smart Insights was preparing pitches for agencies and giving consultant recommendations. It's now fully updated to cover the latest inbound marketing techniques across the full customer lifecycle structured around the Smart Insights RACE planning approach so you can apply a consultant's approach yourself by following the questions you need to ask. 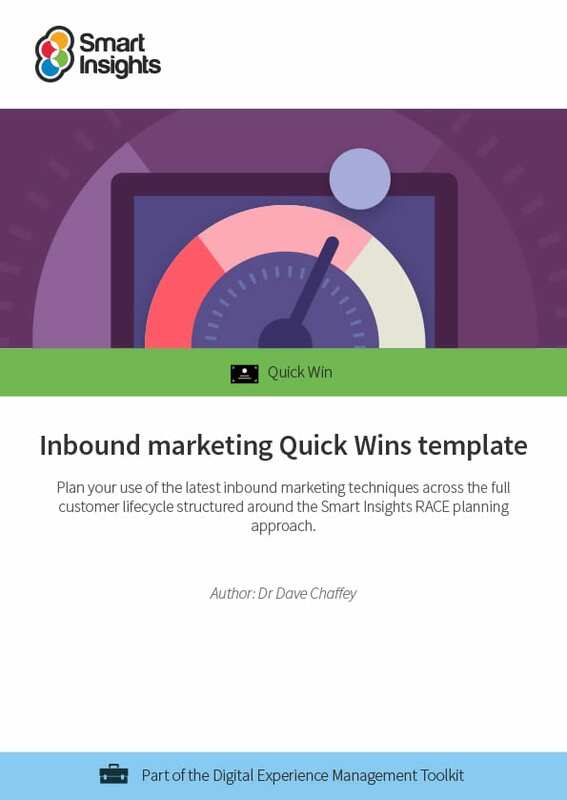 What does the Quick Wins template include? Plan - Understand the goals of the business, Key Performance Indicators and target audience personas. Reach - Covering inbound marketing techniques including SEO, PPC (Google Ads) and affiliate marketing. Act - Review desktop and mobile website brand value proposition, customer journeys and calls-to-action for lead-generation and profiling. Convert - Welcome sequence, Remarketing and assisted selling. Engage - Social media and email marketing and improving the website for existing customers. We also include an example of how to structure the review audit and recommendations. Client side marketers conducting an initial audit when starting a new role. Agency marketers auditing client capabilities and identifying areas to improve. Format: 12 page A4 page Word document template that can be used to review and present recommendations for your business or clients. Structure: This template is designed for a rapid review to create a report rapidly. It is divided into 5 sections using the Smart Insights RACE framework with prompts of issues to review and space to add your own comments.